The last 30 days has been a whirlwind! The first of February, Steve and I did a fitness infomercial, then we flew out to LA for the big Morinda & LiveExercise event, which was totally awesome!!! As soon as we came back, we started shooting a new project here locally (stay tuned!) and then hopped on a plane to New York for Reebok’s big reveal! 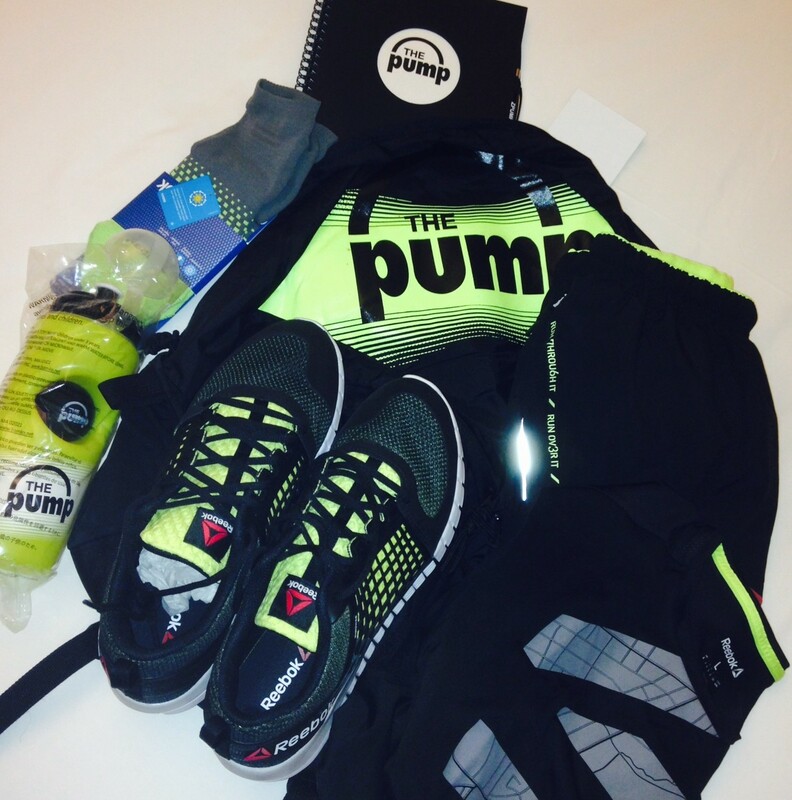 Reebok would finally unveil the brand new ZPump Fusion – and BOY did they do it in STYLE! WOW! Remember the Reebok Pumps? When I think of Reebok Pumps, I instantly think of basketball and high school. The Pumps were a big hit on the basketball court, and they came out my senior year (yes, I’m totally dating myself here). So, needless to say, when they said they were coming out again, I was totally intrigued. Unbeknownst to me, this secret project had been in the works for a while. 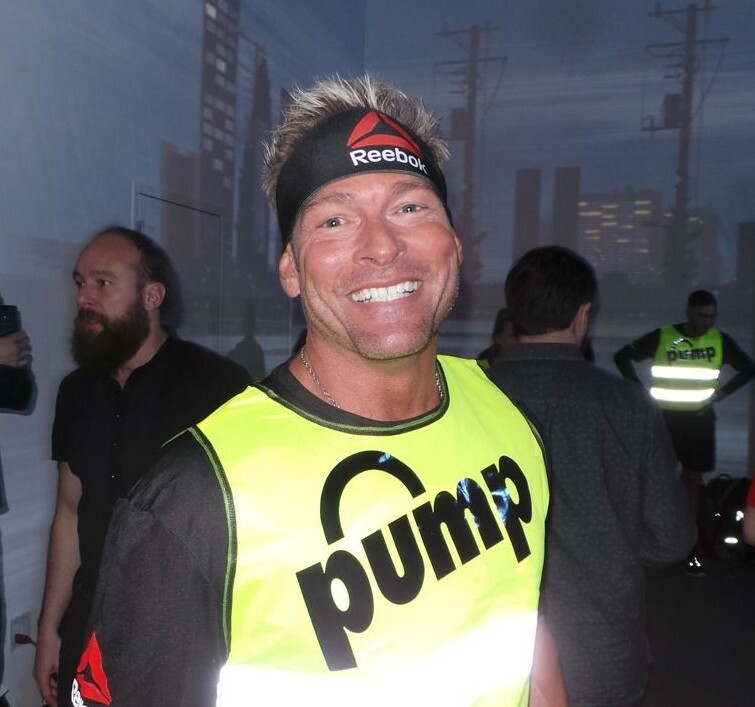 Everyone in the biz was talking about the new ZPumps but no one really knew anything about them except that Reebok was going to make sure they stayed under lock and key until the time came – which was March 4th in New York City at Spring Studios. Here’s a video we made to try and capture the whole exeperience. Steve and I flew out Tuesday night and, immediately, the fun began! When we arrived to our hotel, there were two awesome black and yellow Reebok PUMP backpacks stuffed with the newest gear. Steve and I both got ZQuick running shoes and matching outfits to wear to the event. I got a great sports bra (by far, my favorite sports bra to date! ), a nice lightweight tee, graphic capris, sweet socks and the pink and black ZQuick shoes. I should add, it was 30 degrees there so I’m sure New Yorkers enjoyed watching this Florida girl traipse through the slushy snow in her capris! Like I always say, “Making Memories!“. I have to say, Reebok treated us like gold. It was such an honor to be invited to such an exclusive event. After checking in, they had quite a spread of food waiting for us and a totally pimped out room with white couches, displays and a big TV where we could see everyone’s latest instagram post. Everyone was buzzing with excitement, waiting for the doors to open. We met Cat from Muscle & Fitness Hers, and enjoyed chatting with her a while. 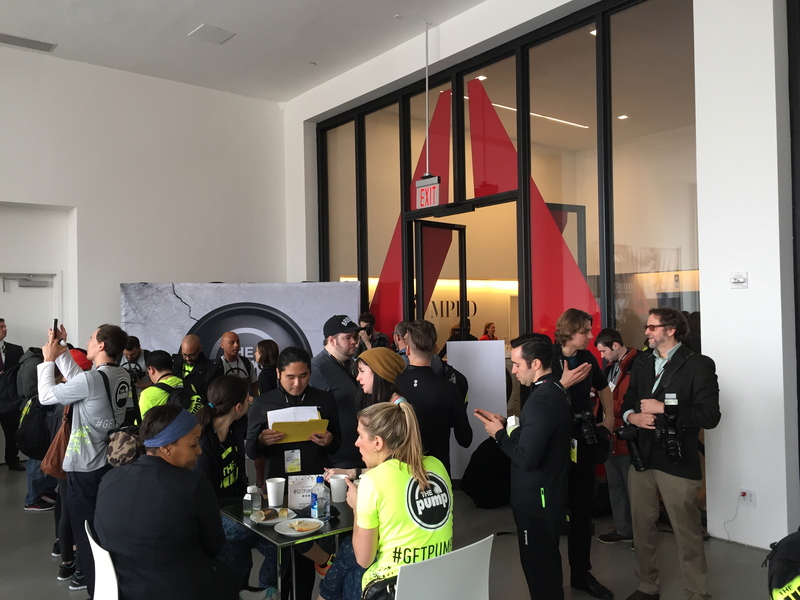 After more mingling and enjoying some wonderful coffee, the music started, energy started building and the doors swung open. It was TIME! Steve and I walked in to this huge room completely wrapped in Reebok graphics projected on the wall. We picked our seats. Second row, front and center. This picture (left) was our view of the presentation. As Steve and I sat there, we realized the people right in front of us were possible celebrities of sorts. There was really no reason to think that. There were no body guards or anything like that. They were just sitting patiently just like us, talking amongst themselves, but they looked familiar. Were they CrossFit Games athletes? Maybe they were just Reebok high-ups? We’d find out shortly. The event begins, and this guy comes out to greet everyone, dressed comfortably and casually in jeans and a Reebok shirt (of course). 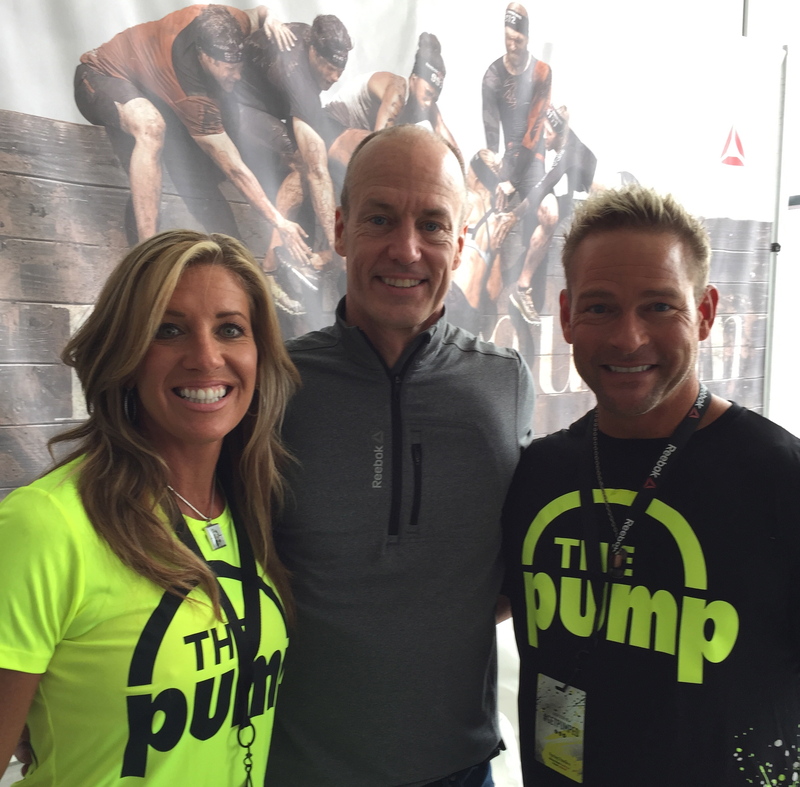 It’s Matt O’Toole, Reebok’s president (pictured with us, right). Could he be any more non-corporate looking? He looks too comfy, cool, relaxed and fun to be the president. While he was calm, cool and collected, you could tell he was like a kid at Christmas inside – ready to unwrap that big present for all to see! He introduces the engineer, Bill McInnis. Bill comes out to talk about the shoe’s technology. He has one heck of a presentation and wows us with all kinds of graphics and illustrations to help us understand how the new ZPump works. 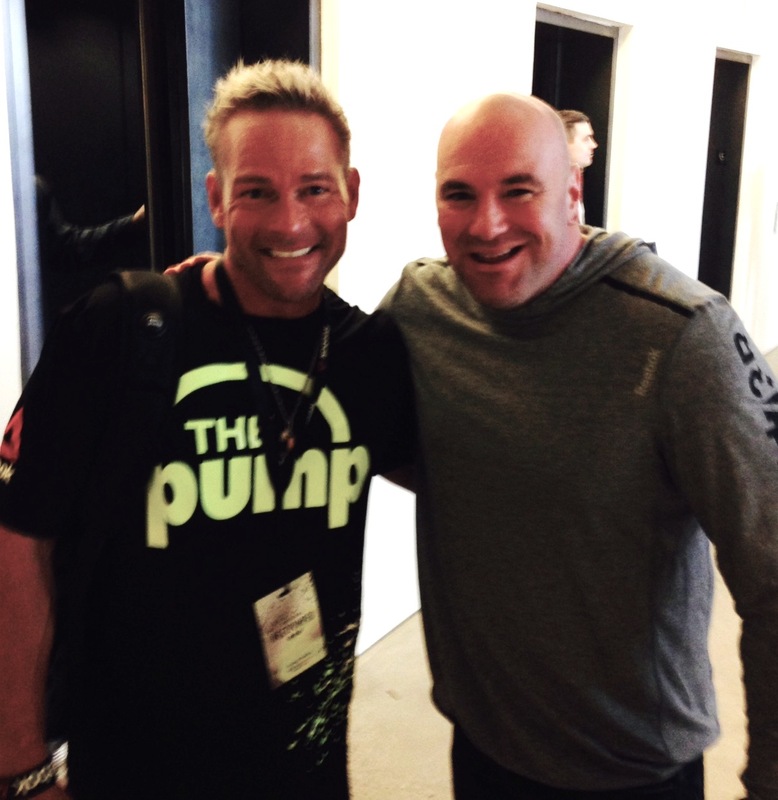 He then announces Reebok’s partnership with UFC, and introduces Dana White. This is when I thought Steve would squeal like a 11 year old girl at a Justin Bieber concert. I sure didn’t expect this! I won’t bore you with the corny starstruck details so we can actually get to the review, but I just had to let you know how awesome of an event this was! And, it wasn’t like these guys just sat there and left. Oh no! They stuck around and played with us, ate with us and just had fun with us! It was a BLAST! Once the presentation was over, all of the guests (yes, yours truly) got taken up to a room where we got fitted for our very own ZPumps. This is also where they displayed all the freaky-cool colors and patterns projected to come out this year. While I wasn’t able to take pictures (top secret stuff! ), I can tell you for sure that you are going to totally FREAK! I’ve seen nothing like these designs and these shoes are going to completely and radically change fitness shoe fashion – much less actually feel as good as they look. I just can’t WAIT to get more! After we got our new kicks, we were taken back down stairs where we were broken up into three different teams. I was on the yellow team, Steve was on the black team. We were taken to different stations. One station was for our action photo. Another station was for the sprint course, and the final station was the obstacle course. 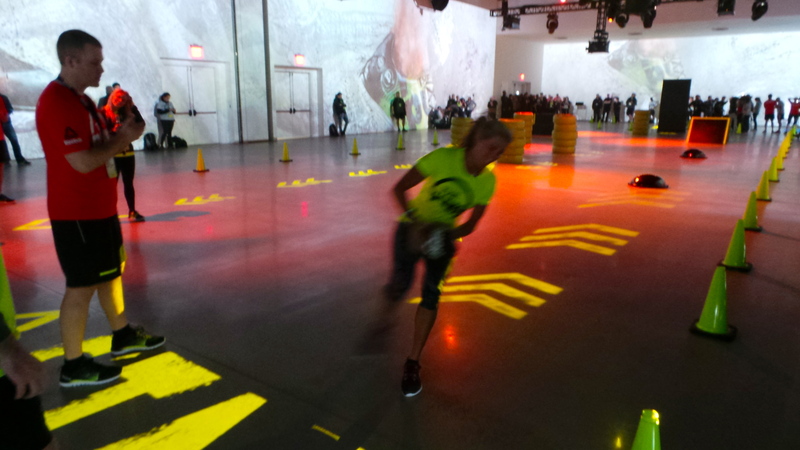 Three teams would compete for the fastest group time at both the sprint and obstacle station. I admit, I was a little nervous. I mean, I was literally sprinting straight toward the president and all the Reebok peeps. They must have really believed in their shoes because they stood right where everyone needed to turn around – proof they really believed in their Z-rated traction. Honestly, Steve couldn’t wipe off his big smile on his face the whole time. He was LOVING it! He was the first in line to run each course (not me, I let everyone else go first! haha!). He sprinted so hard he actually pulled his hamstring and has been icing it ever since! Boys! 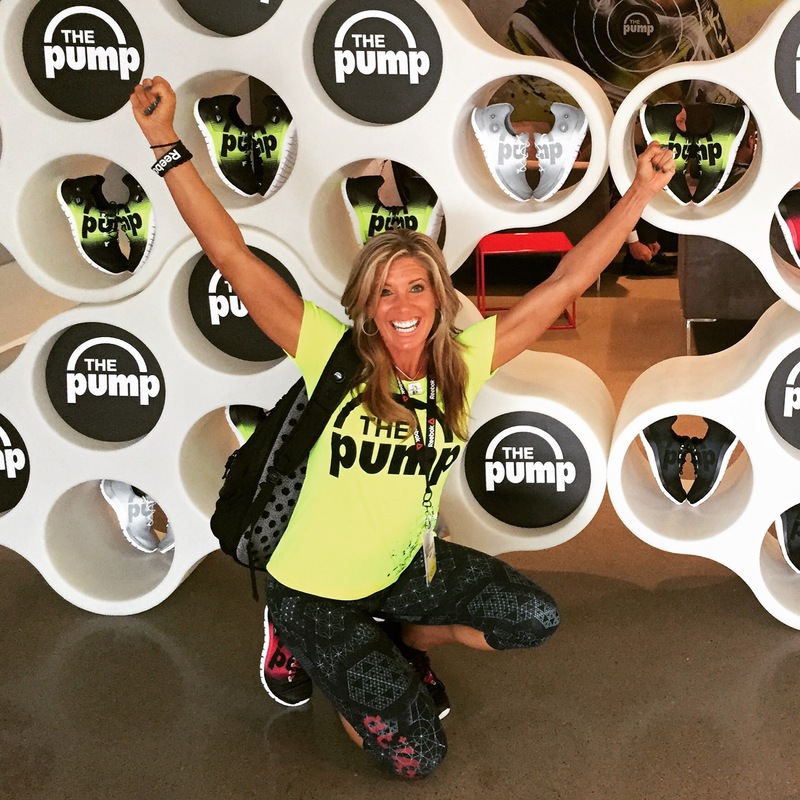 ZPumps: Is It All It’s Pumped Up To Be? I know, you are probably dying to hear about my take on the shoe, so here it goes! 1. Keep pumping! The shoe is super light and it feels like you are putting on a sock. However, when you do the first few pumps, you initially might get a little disappointed because you don’t really feel it. I’ve got good news! There’s a reason you pump it up fifty times at first. They shoe comes completely deflated so it’s normal to pump and pump when you first get them. Each pump is a small adjustment so you may simply not be feeling each little pump, but you sure feel it as soon as you hit the deflate button! 3. Customize Your Fit! I have to admit, I originally pumped up this shoe so tight it cut my circulation off. Once the shoe was pumped up to the right fit, my shoe and my foot became one. This is actually something I missed in the ZQuick shoe. While I loved the tread of the ZQuick, as well as the lightweight materials, my foot was not secure. I could feel my foot shift from side to side in kickboxing class or doing other lateral movement. However, with the ZPumps, as I made several quick stops, my foot didn’t shift at all. My foot felt like it was glued to the sole. It wasn’t going anywhere! I had killer support and traction. It really was quite impressive! 4. What about cushion? Well, I think the best way to test them is to go for a long run (which I have not done yet!). I do plan to wear them for the next few days and really put them to the test so keep following me here on my blog and on social media. So far, I’m impressed! To have a shoe that literally fits you like a glove – that’s not something you get every day! Also, Follow the Hashtag #GetPumped for the latest pics and updates! 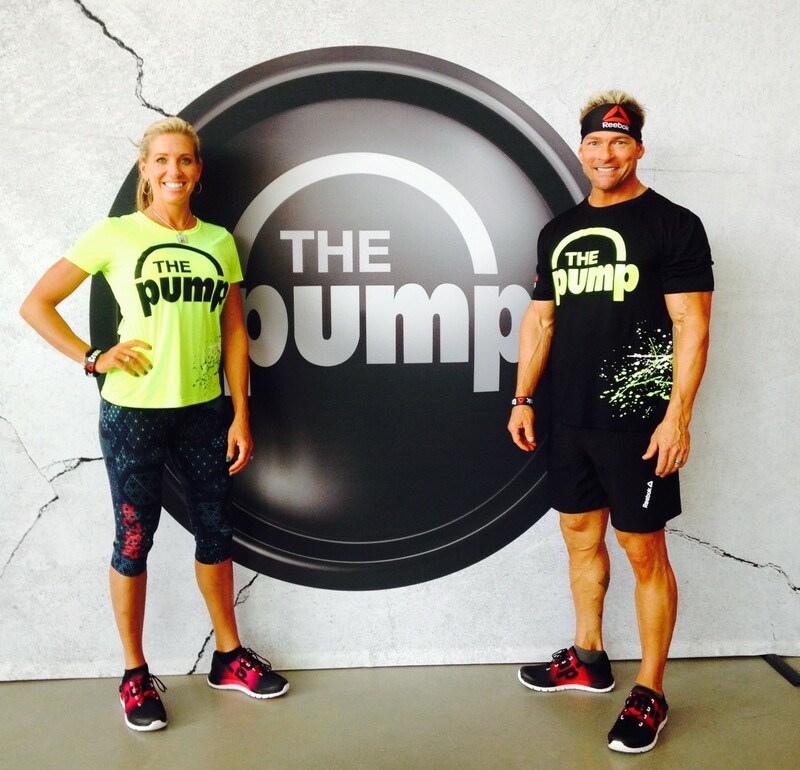 Q: What is the Reebok ZPump Fusion? A: Reebok has revolutionized its iconic innovation – The Pump technology – to create the unique ZPump Fusion which boasts a new and exclusive air-filled cage across the heel and upper of the shoe which moulds to any foot, providing a custom, locked-in fit. Combined with the Fusion Sleeve and ZRated outsole, the Reebok ZPump Fusion is the ultimate running shoe. Q: How does ZPump technology work? 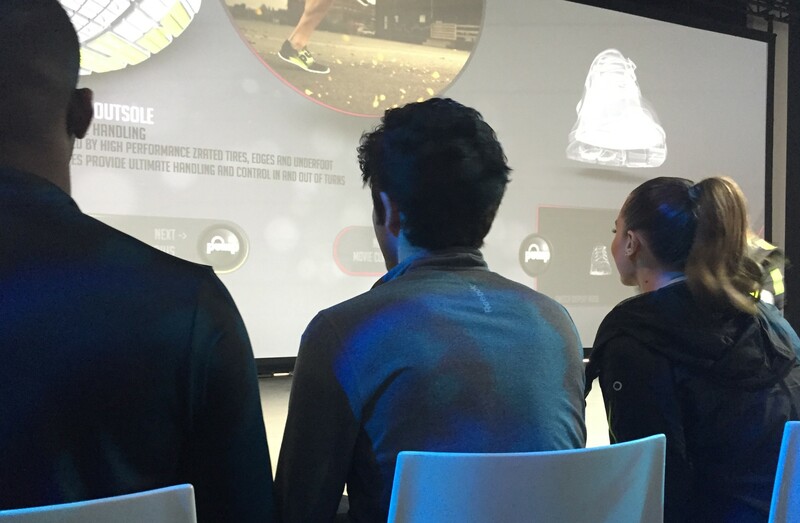 A: The revolutionary air-filled cage is at the core of Reebok’s ground breaking new running shoe. It is a lightweight, fully customizable, inflatable bladder that wraps around the contours of the foot to deliver a custom fit and lock the foot in place for improved performance. Q: What is so special about ZPump Fusion compared to previous models? 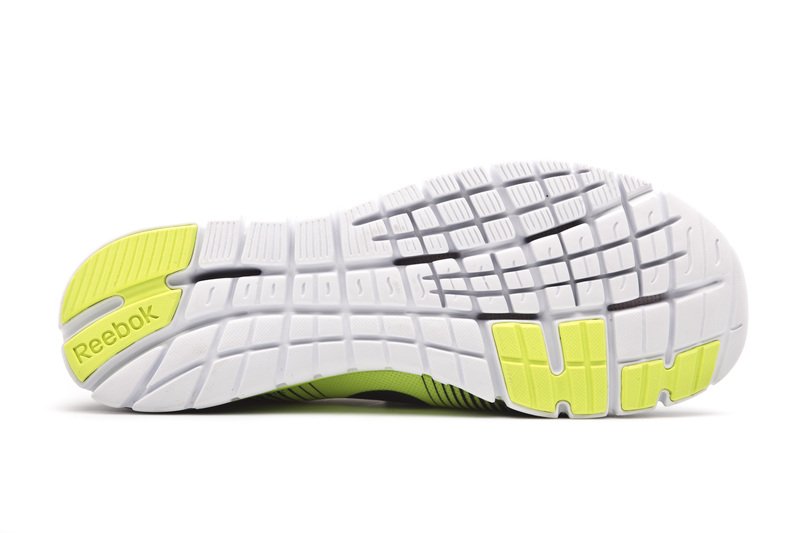 A: ZPump Fusion is one of the first running shoes to provide a fully customizable fit. No two feet are alike, not even your own left and right foot. Most shoes are built around a factory-developed, wooden or plastic last which is supposed to reflect a standard foot. But a standard size foot does not exist. ZPump Fusion is designed to adapt to you. Q: How was The Pump technology originally created? A: The Pump technology was born out of an entrepreneurial vision in 1989. Reebok took a daring approach to design, fuelled by the desire to give athletes something unique. Reebok’s engineers took three completely unrelated items; a rubber bulb from a blood pressure monitor, an air release valve from a bike tyre and an IV bag. From it, they created one of the most forward-thinking innovations and game-changing platforms the footwear industry has ever seen. 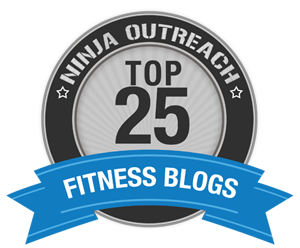 Q: Where can you buy the Reebok ZPump Fusion? A: The Reebok ZPump Fusion will be available for purchase from the 10th March 2015 from www.reebok.com. ZPump Fusion will also be sold in [INSERT] markets globally at selected retailers. 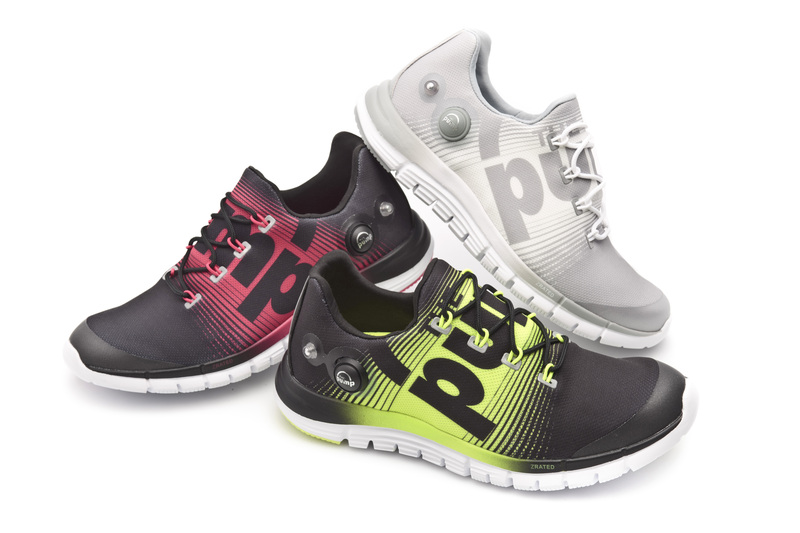 PFITblog » Reebok ZPump Fusion Now Available!